34-year old center Mile Ilic (215-C-84) put on an extraordinary performance in the last round for Al-Ittihad and receives a Interperformances Player of the Week award for round 3 (Second Stage). 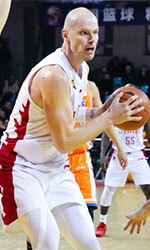 He had a double-double of 29 points and 25 rebounds, while his team lost the game against Al-Muharraq (#2, 2-1) 66-74. Al-Ittihad moved-up to the 6th position in their group in Bahrain league. Al-Ittihad is rather a weak team placed in lower part in the standings. But it was their 2nd lost game this season out of 3 games. In the team's last game Ilic had a remarkable 52.2% from 2-point range. He turned to be Al-Ittihad's top player in his first season with the team. Ilic has impressive league stats. He is in league's top in points (5th best: 24.2ppg) and averages solid 2.2bpg and 57.7% FGP. 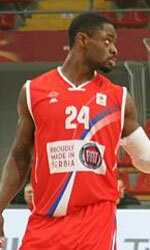 Second best performed player last round was Wayne Chism (206-PF-87) of top-ranked Al-Manama. He is naturalized American forward in his first season at Al-Manama. In the last game Chism recorded impressive double-double of 22 points and 16 rebounds. Of course Al-Manama cruised to a 80-69 relatively comfortable win over Al-Ahli (2-1). The Second Stage is still at the very beginning and this victory may help a lot. Let's wait for the next round. Chism is a newcomer at Al-Manama and quickly became one of team's most reliable players. 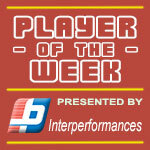 Third place about best performers goes to center Chester Giles (211-C-85) of league's second-best Al-Muharraq. Giles scored 16 points and grabbed twenty rebounds (!!!). He was a key player of Al-Muharraq, leading his team to a 74-66 win against Al-Ittihad (#6, 1-2). Al-Muharraq needs these victories very badly if they think about taking over top position in Top. Their record at this point is 2 victories and 1 lost games. Giles has a very solid season. In 5 games in Bahrain he scored 18.4ppg. Chester Giles has also Bahrain passport and can play in the league with a status of domestic player.